The days are getting longer and warmer and that means more sunny weekends to relax outdoors (perhaps with a great book in hand). 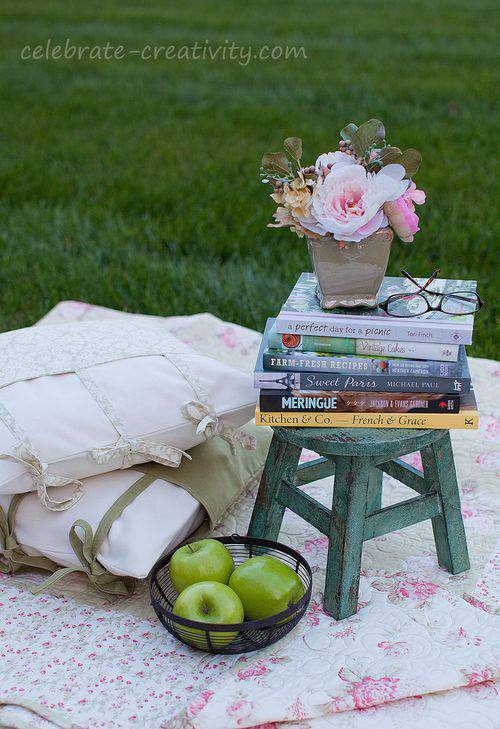 I've always loved to sit outside on a warm afternoon and read (or browse) a good book. With that scenario in mind, allow me to introduce my latest blog column called GOOD READS. This first edition of GOOD READS is all about my newest batch of fab cookbooks. 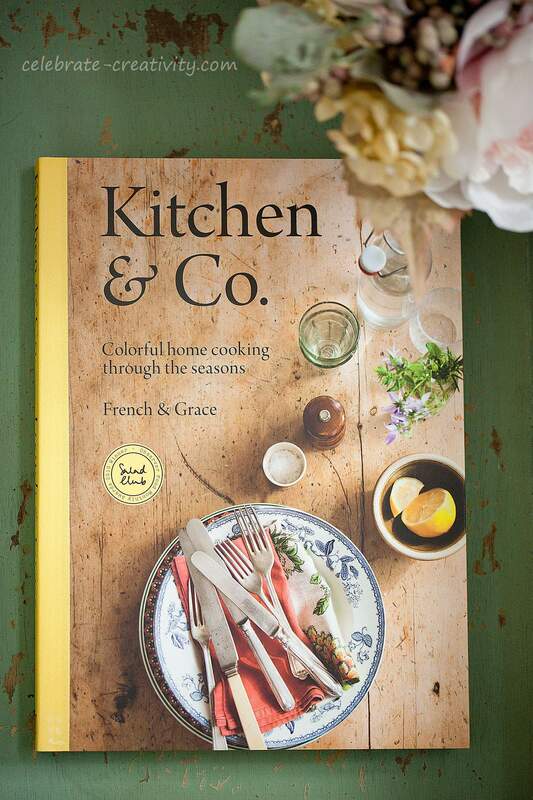 Regular readers may recall previous mentions on this blog of my penchant for beautiful cookbooks and this group of books certainly does not disappoint. 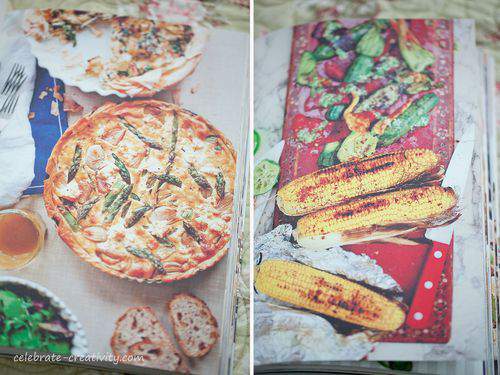 Throughout this post, I'll share half a dozen books that are new to my kitchen library. They're not only breathtaking in their presentation but inspiring too. I first came across A Perfect Day for a Picnic while I was writing an upcoming blog post on planning and packing a picnic lunch. It may sound weird but I was initially taken with the feel of the pages which is more like cardstock with a matte, slightly grainy finish. It's funny what kinds of things initially draw us to a good book, huh? Anyway, after flipping through a few of the pages I was hooked. 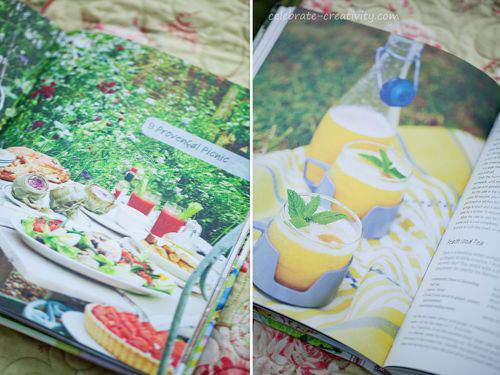 The food styling has a very casual presentation with a definitive "you can do this" approach (love that) with more than 80-recipes that fit into chapter categories that include Vintage Garden Party, Bohemian Picnic, Bike Ride Picnic, Provencal Picnic, Romantic Picnic or Woodland Walk Picnic just to name a few. Simple, accessible ingredients are the hallmark of most of these recipes that look like picnic dishes you would actually make and eat as opposed to just dream about. 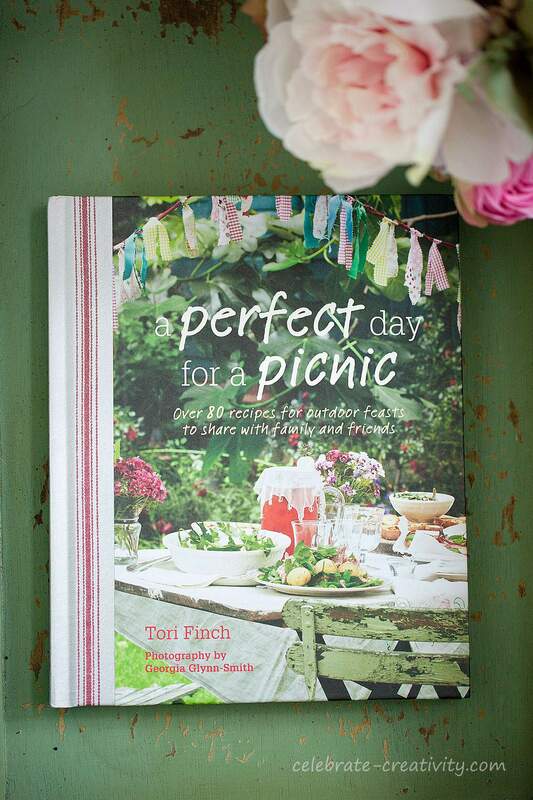 On top of everything, this is also a really pretty book about planning, preparing and serving open air feasts and treats for friends family and loved ones. While you may not always be able to tell a book by its cover, I think Vintage Cakes could very well be the exception to that rule. 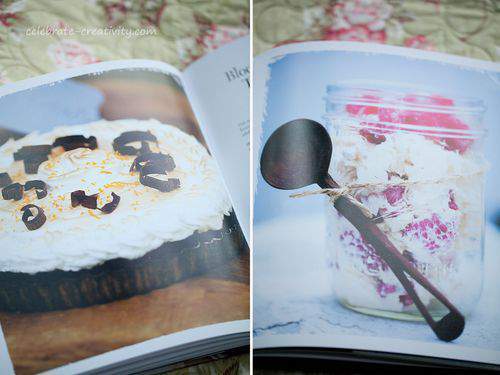 The titles of cakes in this homage to old-fashioned goodness also speaks volumes. Rhubarb Pudding Cake, Blackberry Chocolate Cream Icebox Cake, Lazy Daisy Oatmeal Cake and Berry Long Cake with Ginger Crumb are just a few of the mouth watering recipes throughout this cookbook. The author also includes recipes for rolls, fillings and frostings and much more. Each turn of the page reveals a dessert even more enticing than the previous one and once again, I'm taken with the gorgeous photography and effort-less looking food styling. 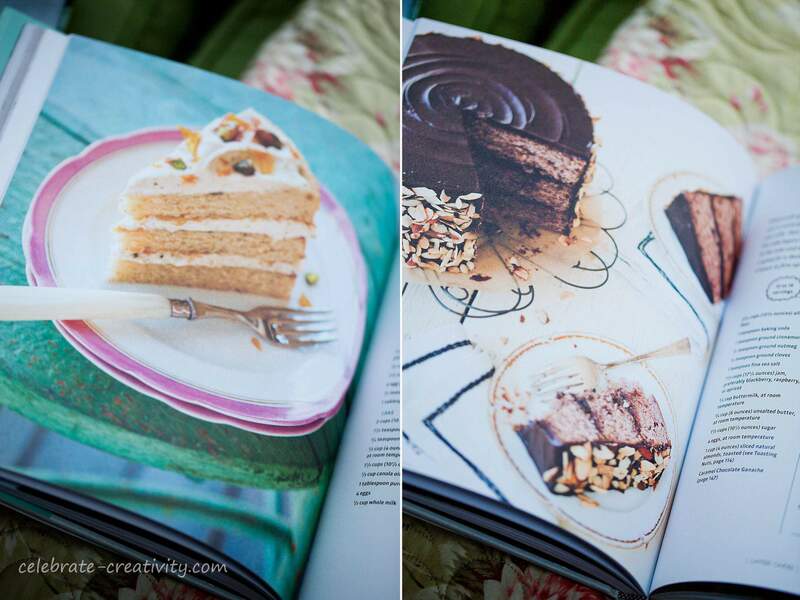 ADDITIONAL NOTE: Author Julie Richardson also penned another one of my favorite cookbooks entitled Rustic Desserts which also features stunning photographs and recipes. OK, I've gotta admit, I initially picked up this book because I was curious about the "Missing Goat" reference in the title. After flipping through the pages, what I got was a pleasant view of the author's life on an organic farm outside Vancouver, British Columbia. Whether you grow your own or buy your produce , Farm Fresh Recipes from the Missing Goat Farm is a tribute to fresh, healthy ingredients that produce satisfying meals and desserts. Still this adorably titled cookbook is equally adorable throughout its colorful pages which feature more than 100 recipes that are wonderfully unfussy. 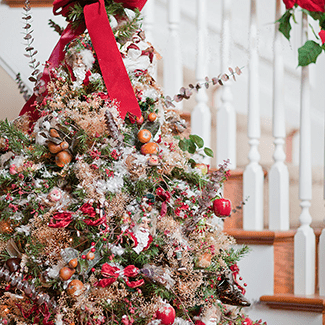 The chapters are arranged by Spring, Summer, Fall and Winter with each season representing recipes for breakfast, snacks, main meals, desserts as well as recipes for items you might enjoy keeping in the pantry (like salted caramel sauce, peach preserves and fruit and seed crackers to name a few). 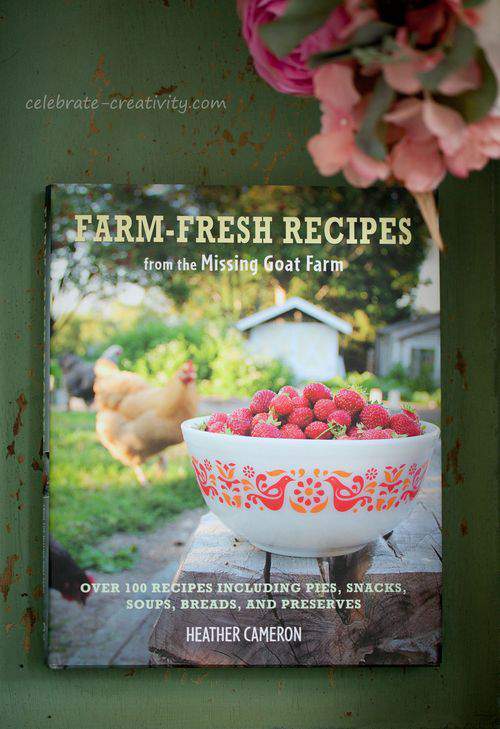 While the goat may be missing here, fun, flavor and delightful glimpses of farm life are in plain view. I've never been to Paris, but one day I hope to visit the city. 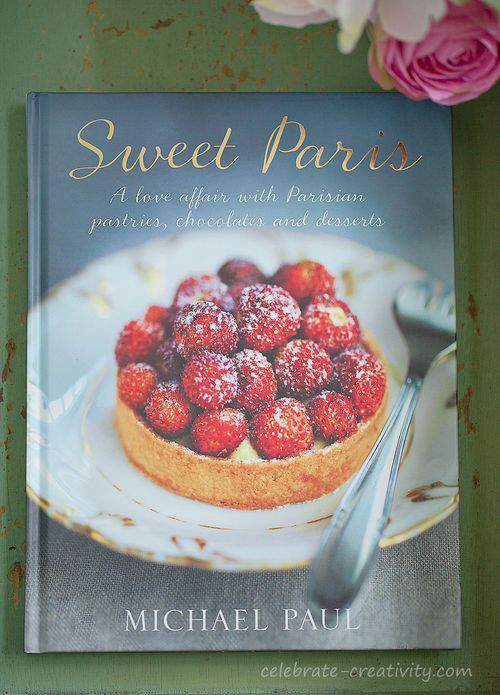 Until then, I'll have to settle for books like Sweet Paris which not only offers up a bounty of recipes for Parisian treats but also takes the reader on a tour of this city of light and love. We expect to see macarons in a Parisian-inspired cookbook (and you'll see them in this book) but what you also get is a closer look at this city which has at many times, been called the most beautiful in the world. 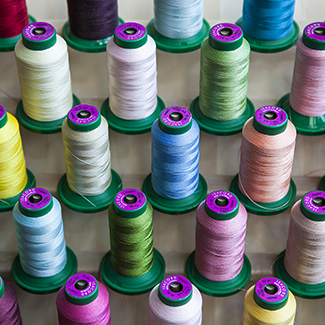 As a reader, you'll get a feast for your eyes and a tingle in your taste buds as you vicariously stroll the streets of Paris admiring lovely landmarks and peeking into cafes and well-stocked bakeries along the way. 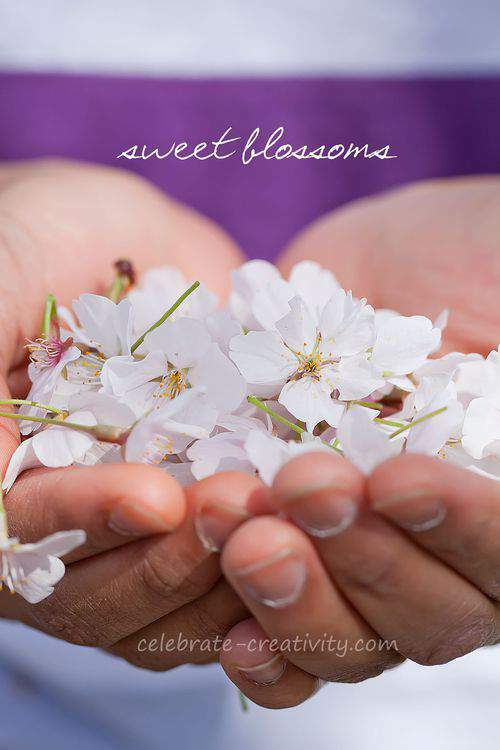 In this book, sweet treats and sweet history are combined in the most delicious way ever. 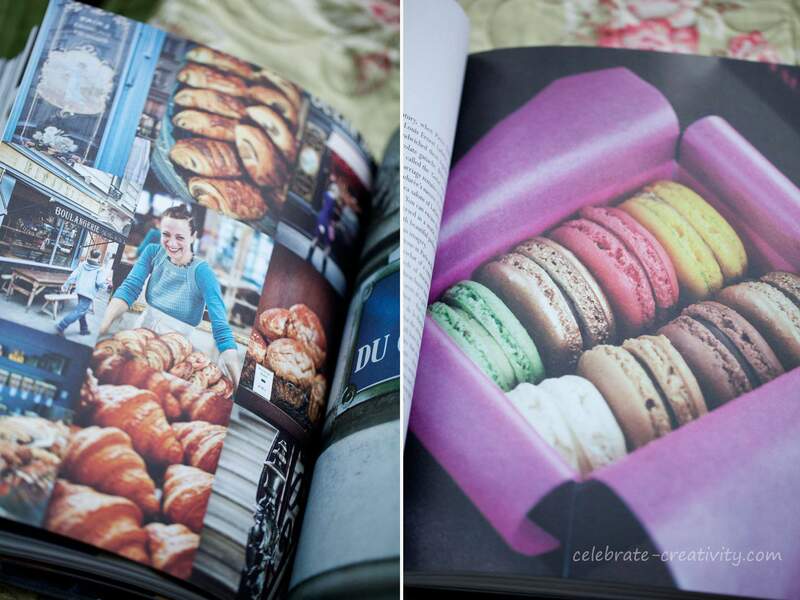 I love that the author is also the photographer behind the gorgeous pictures and he seamlessly combines his love of attractive confections with an obvious affinity for Paris. If you're like me, you've pretty much always considered meringue as part of a Lemon Meringue pie using well-beaten egg whites and sugar. 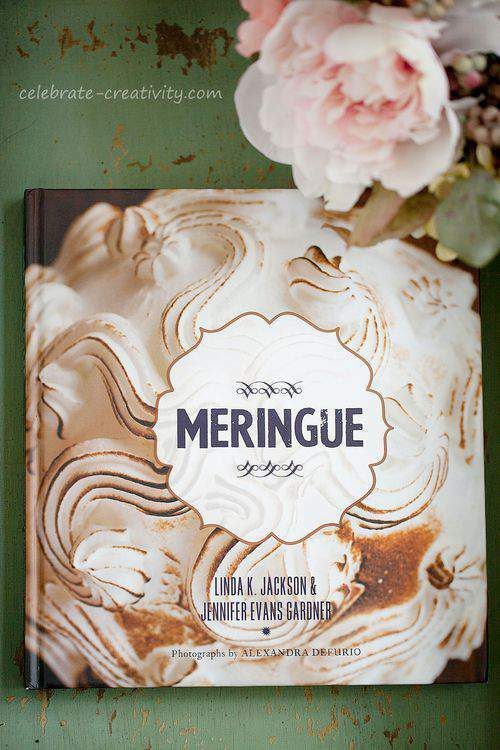 Well, think again because there's so much more to meringue as you'll find in the cookbook Meringue. Who knew so much could be done with meringue? Did you know there are three types of meringue? I didn't either. For the record, there are French, Italian and Swiss meringues. Anyway, this book touches on all things dealing with meringue including history, tools and techniques. The authors proclaim there's no need to be intimidated anymore about meringue. Whew, finally. More than 50 detailed recipes outline how meringue can used in cookies, tarts, pies, cakes, tortes and frostings just to name a few. I can't wait to try my hand at making Coconut Meringue Cake with Lavender Flowers, Vanilla Swiss Meringue Buttercream for cupcakes and the cute little mushroom shapes made out of meringue that are all featured in this book. This is another cookbook that is printed on that thick, grainy paper that I love to run my fingers across. However, even more than the paper, I love what's on the pages of Kitchen & Co. It's home cooking that is also arranged by seasons with recipes like Cucumber and Carrot Salad with Sesame and Chile, Chocolate Chip Semifreddo, Linguine with Sicilian Pesto, Gazpacho Soup and Mascarpone Cheesecake with Nutmeg, Maple Syrup Caramel and Chocolate and Hazelnut Swirls just to name a handful of the dishes and desserts. While a few of the ingredients may be a bit out of my culinary comfort zone (it doesn't take much), the finished dishes make me want to try to make them anyway. This book has great looking photos and you know I love that. Some of the presentation style reminds me of an old-fashioned manuscript complete with typewriter-type fonts for much of the text. The presentation is creative and quite appealing. 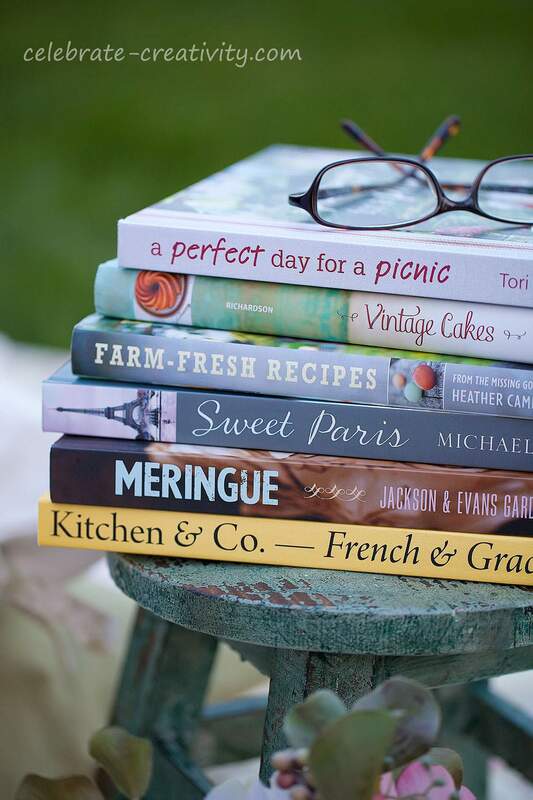 So, that's a quick look at my latest and new favorite cookbook reads. Oh-my! So many recipes to try and so little time. Yum-yum, right? Stay tuned to this blog for more editions of my new column, GOOD READS . NOTE: If you're like me, you're always looking for ways to improve your photography. I think that contemporary cookbooks are a super resource, providing tons of colorful inspiration for food photography and styling ideas. DOUBLE NOTE: Look for my easy and original Double Pillowcase with Ties tutorial (seen in the photo below) later in an upcoming post. 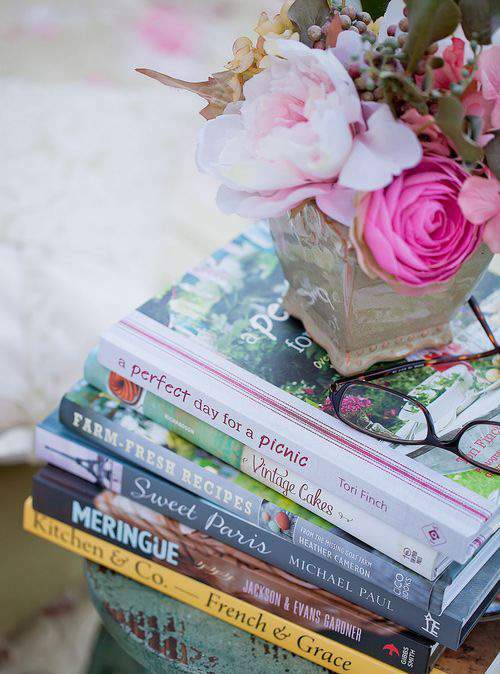 Meanwhile, grab a blanket or quilt, a few stacked pillows to rest your head and get busy gobbling up a few delicious Spring reads. 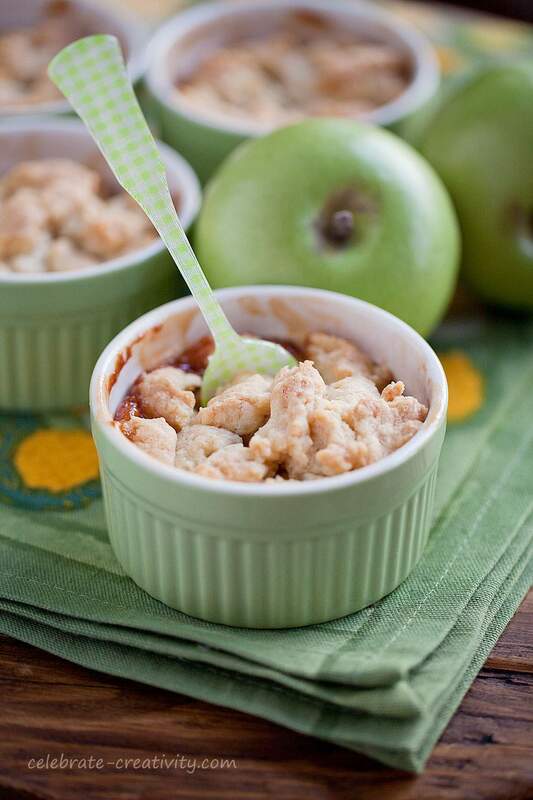 Coming up in my latest edition of THE FRIDAY FOODIE, I'll share a delicious recipe for APPLE CRUMBLE. 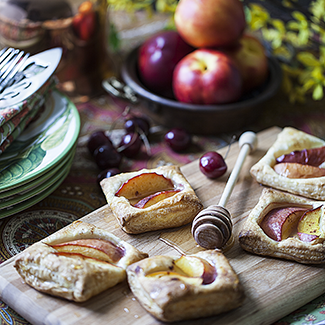 Bake up this tasty treat in a large dish or small ramikans. Either way, you'll be a hit with this super yummy apple dessert that requires only a handful of ingredients. Hope you pop by this blog again later this week (5/3) for a look at my APPLE CRUMBLE. Admit it. You really want to take a bite of this now, don't you? Hope to see you back here on Friday. I can’t decide which one I want to check out first! thanks Lisa. Those all look wonderful Lisa! 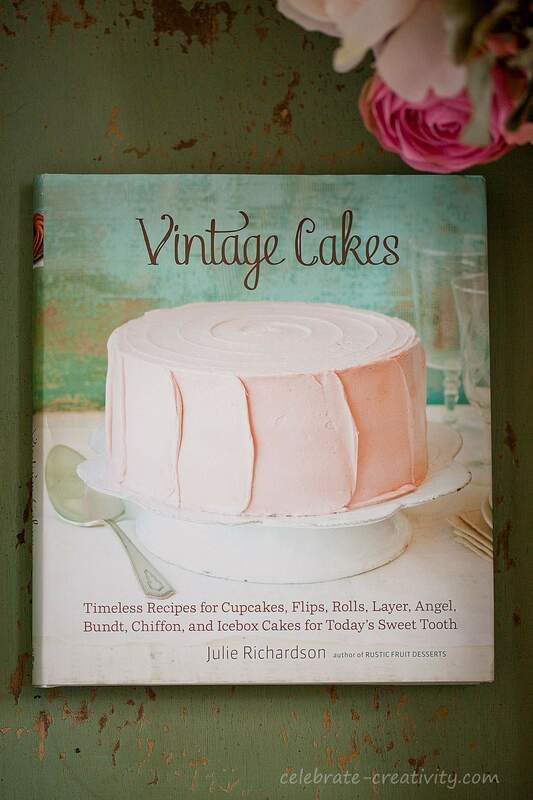 I recently purchased Vintage Cakes — but not the same one as yours — the one by Jane Brocket. It would be interesting to see how different they are. 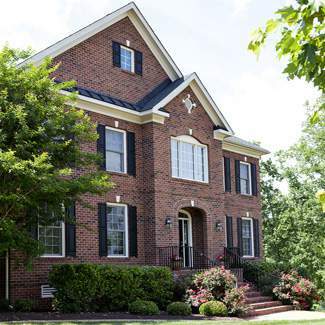 Thanks for the great reviews! I see new cookbooks in my future. 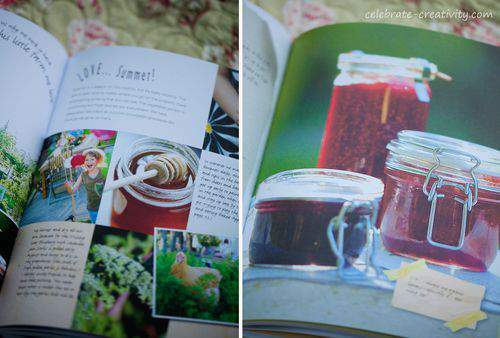 I have a passion for cookbooks I’ve even part of a Facebook Group Cookbook Junkies.